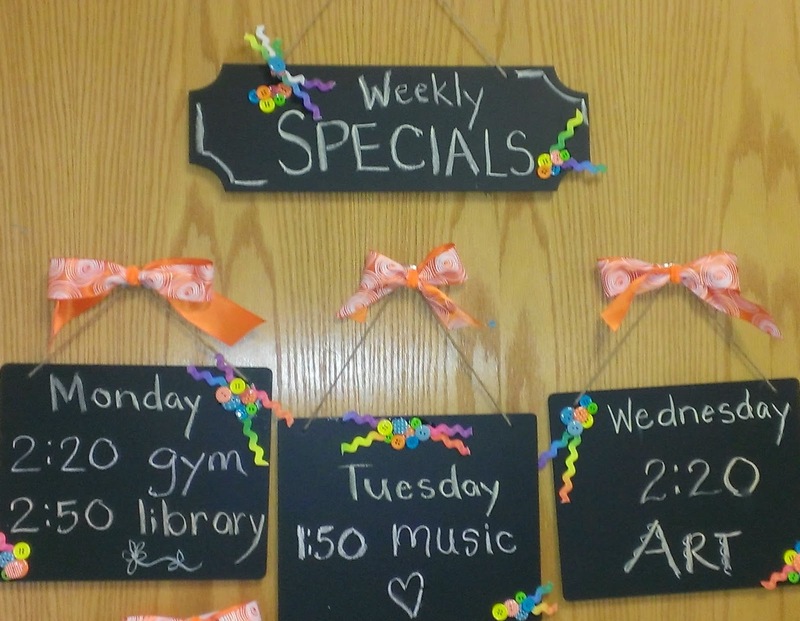 The Best of Teacher Entrepreneurs III: FEELING CRAFTY... SCHEDULE CARDS AND SIGNS! Every once in a while I get to feeling a little crafty and then I have make something for the classroom. I always think that my classroom is my home away from my own house. I want it to be comfy and attractive. One of the things I struggle with is trying to remember when the students are supposed to be at specials. It tends to change frequently and then I just get confused. There are so many cute little chalkboard products out there right now. They seem to fit every style. If you are into the retro look chalk boards fit. If you like traditional classroom chalkboards fit! If you like contemporary trends, just add some chevron stripes and chalk boards fit! Me?? I like bright colors so I added som bright ric-rack and buttons with a hot glue gun. I've seen mason jars, clothespins and just plain old slates. How perfect for things that change often. I can use them over and over. Just erase, write and go! Here is my latest artsy-crafty endeavor. 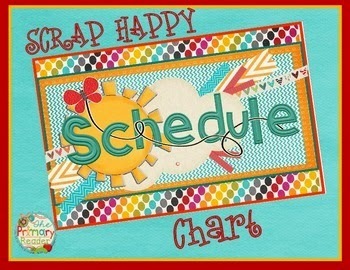 I hope they inspire you to craft away an afternoon or to put the idea away for summer vacay! I hope that you have lots of fun creating your own space. Your classroom is home away from home. Make it a good home for you and the kids!